Building a budget PC? 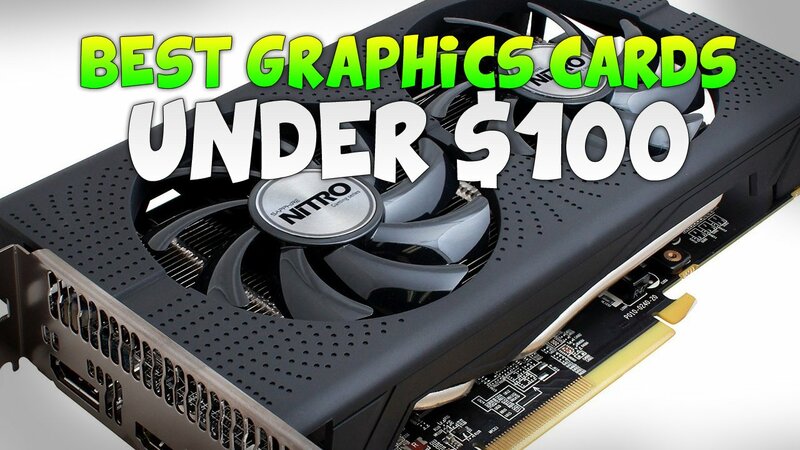 Here’s a look at our favorite graphics cards in the under $100 space. If your goal is PC gaming in 1080p, it’s easier than ever to reach it with a $100 budget. This means that PC builds in the $300 and $400 range that exceed the performance of a console are totally possible. Perhaps even more eye-opening are the FPS at which newer cards at this price point can reach. In this post, we’ll examine graphics cards from around $80 to $120 in order to check out which ones give you the best bang for your buck. Should You Exceed the Budget? That really depends on the games you play and your personal preference. If you can’t stand to use any settings other than Max Ultra and plan on playing AAA titles, then it’s likely you’ll need to go beyond the budget. If that’s you, then be sure to read this post as well as other posts we have to find the budget the best fits your needs. I would never recommend purchasing a graphics card without knowing what’s just beyond the reach of our budget. AMD’s release of Polaris graphics cards over the past couple of months has truly transformed the graphics card market. The cheapest one you’ll find is the RX 460 which can be only be found for about $15 over our $100 GPU budget. So, in addition to the RX 460, what should you know about? The race here is between 3 similarly performing cards in the GTX 950 (shown above), RX 460 (2GB version), and the R7 370. Before I really get into the comparison of these 3 cards, it’s important for you to realize that they are all very similar in performance. Hardware Unboxed mentions that the RX 460 4GB is about 4% faster on average when compared to the previous generation R7 370 and about 1% faster on average than the GTX 950. These numbers show a couple of percentage points lost when comparing the RX 460 2GB and 4GB models. There are, of course, a couple of other considerations. While in average benchmarks the RX 460 has an edge, I’d consider the GTX 950 a consistently better overclocker. Both the GTX 950 and RX 460 are similar in efficiency with the standard RX 460 coming in 10W more efficient than the GTX 950 and the lower power GTX 950s coming in at 21W more efficient. Apart from this, the 950 has better driver-level performance so it may perform better with a lesser CPU. 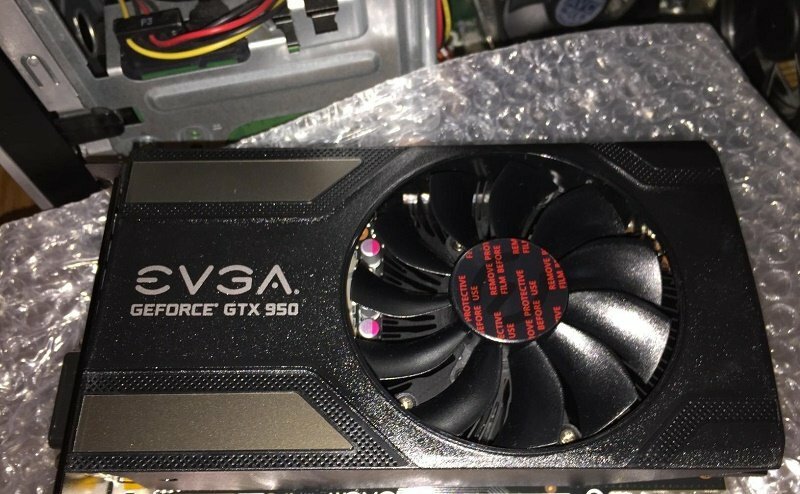 Overall, these 3 graphics cards are fairly similar so your choice may come down to price. 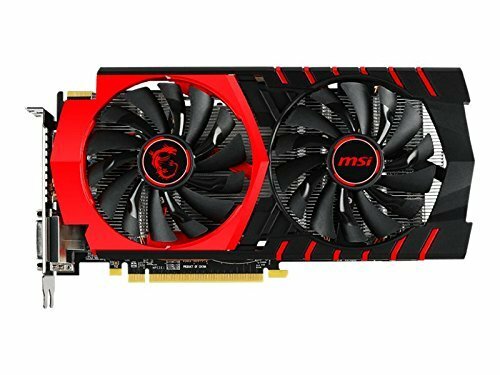 With the 4GB model of the RX 460 in the $140 range, it’s probably a better deal to go with the 2GB model. Obviously, this will change day to day. Also keep in mind that in the $200 range is the RX 470 which would give you a huge performance bump over all of these models. **Taken from the 8 lowest priced GPUs available and may include factory overclocked or higher VRAM models. We’ve been able to find the R7 370 on rebate below $100. If it’s available, we highly recommend it. Unless your price point is more like $50, it’s hard for me to recommend any other graphics cards on the market as their performance is simply not as good as the graphics cards above. If you’re able to find an R7 370 under $100 (only one model is available right now), clearly it’s the ideal choice here as it will substantially outperform both the 750 Ti and the R7 360. Other options are the GTX 750 Ti and the R7 360. Between these two cards, I’d go with the 750 Ti more often than not. The reason for the choice is that the 750 Ti is a better performer, a better overclocker and like the 950 seems to perform better with lesser CPUs. Overall, you’ll want to check rebates to find the best deal available. Often, a card with a large rebate may be the best bet. Don’t forget to vote for your favorite GPU in this price range as well as leave a comment about the information above in the section below. Also be sure to take a look at our up-to-date PC builds from $200 to $2500. What's the Best Graphics Card Under or Around $100?